Management consultants receive upbeat brand transformation from Communicreations. We have a soft spot for social good projects. So when we were approached to tender a Rebranding RFP for Management Advisory Services (MAS), we jumped at the chance. It was an exciting opportunity to effectively multiply our reach in support of non-profit community organizations. Communicreations ultimately won out over a diverse field of candidates. 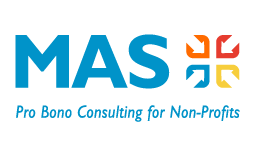 MAS are known as a multi-faceted team of dedicated professionals that work pro bono in order to help local non-profits achieve their goals. 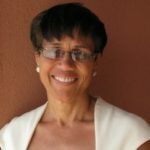 They provide extensive knowledge, expertise and resources that come together to provide direction and resources for organizations that give back to our community. Clarity. Communicate a clear understanding of the organization and its services. Eliminate “for profit” perceptions. Awareness. Achieve greater visibility and reach within the GTA non-profit community in order to continue organizational growth. Modernize. Overcome stale perceptions while maintaining brand traits of professional and experienced. Approachable. Make audience engagement easier. Rebranding is a shared journey. And you wouldn’t just travel with anyone, would you? This led to the emergence of a clear understanding of perceptions and organizational pain points. It also triggered lively discussions on Basecamp (our online project management communications portal) within the rebranding committee. Basecamp afforded the management team and the Board to participate given the platform is oversight and engagement-friendly. All of which helped to bring about a change in perception of how the organization viewed itself. What we learned is that the full name caused intent confusion in some circles – including from within. And so MAS was born. Michael helped us rebrand MAS and update our website. His marketing and technical skills are a great combination. Because he has both, he was able to help us move forward in all aspects of rebranding, website redevelopment and social media marketing. He gave us an image more suited to our mission. Understanding what we were trying to achieve and listening to what we wanted, his ideas worked well for our organization, but were also very creative. He pushed us to think of new ways of marketing MAS. He also gave 120% of himself to MAS. Top Qualities: Great Results, High Integrity, Creative. The next phase of the project started with a welcomed change in scope. 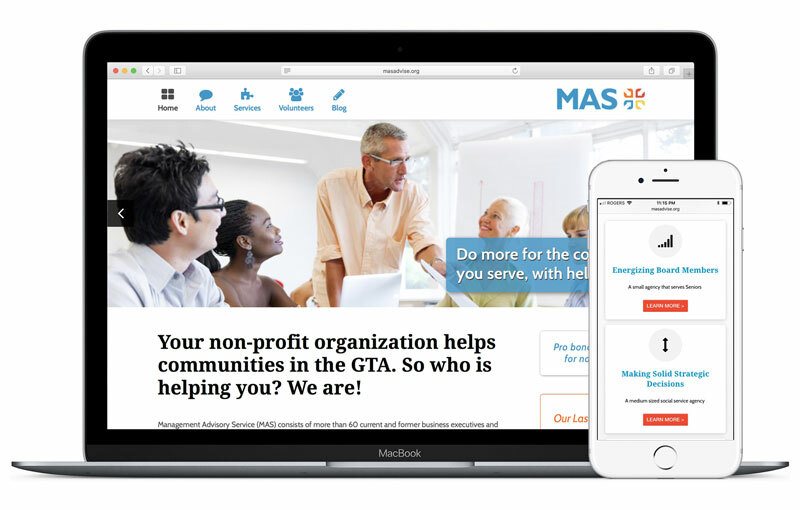 MAS was comfortable enough with how the rebranding was coming along that they asked Communicreations to lead the work on their new website. Music to our ears! In order to counter the perception that MAS was a for-profit, we managed to convince the Management Team to adopt masadvise.org. With agreed upon naming conventions and the final logo awaiting confirmation, our attention turned to website planning. 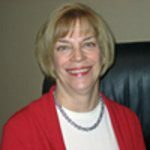 With a board comprised of retired senior executives, you can well imagine process is something they take to heart. 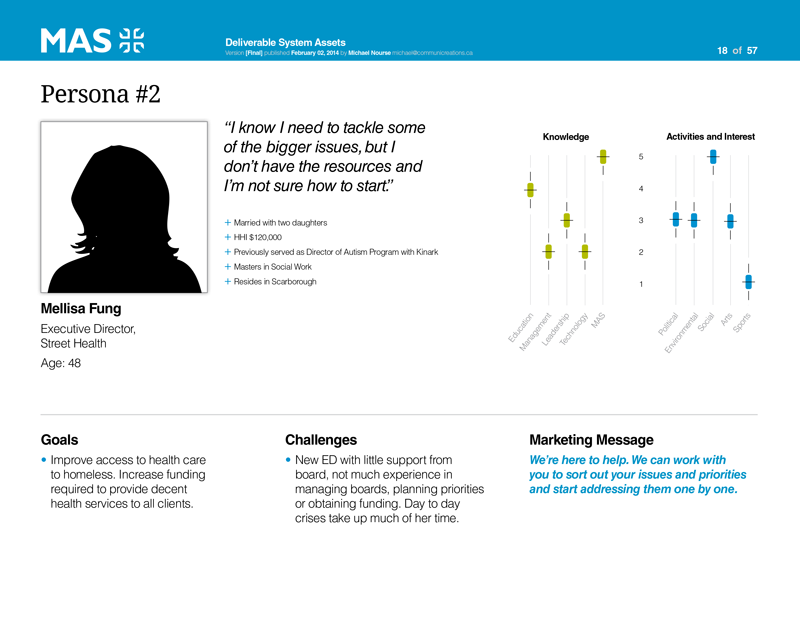 So we introduced personas as a way to help shape the pitch as well as a measuring stick for keeping web pages on target. 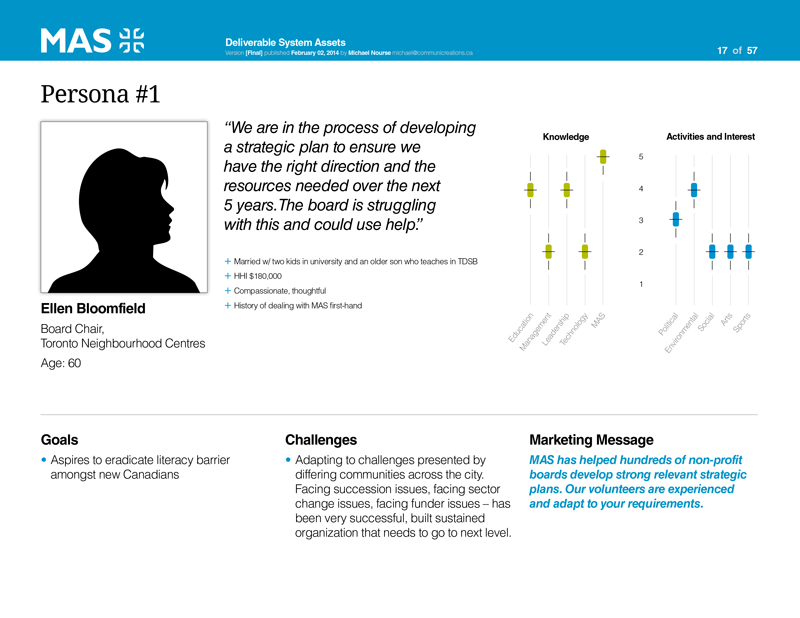 Together, we developed five unique fictitious personas that represented our target audience. One of those personas led to the conclusion that a recruiting section was needed. Pretty cool! As this is a Case Study about rebranding, we won’t go into detail about the website. But you can see from the result below that MAS had good reason to be very happy with the final result of the rebranding and website working together. Launch Event: Dare to be Great! In the spirit of volunteering, Communicreations contributed event planning and marketing for the launch event. It was a well attended event featuring an afternoon of speeches from community non-profit leaders mixed with performance art. The new MAS was centre stage and garnered plenty of attention and accolades. Michael was an amazing marketing communications resource to work with in Toronto on the 20th Anniversary event for MAS's "Dare to become great." He leveraged his experience in branding and marketing events to make ours noteworthy to our client community and beyond. Attention to detail, unique creative design ideas, easy to work with, a great sense of humour are his trademarks. All this as he leveraged his network to attract photography and videography pro bono talent to support our event. Hopefully, this case study gives you some insight into who we are and what we can accomplish together. And when it comes to rebranding, you want to be able to turn to the experience of someone to lead you along the journey of discovery that is You Inc.
Email us. Call us. A journey of a thousand miles begins with the first step.